April 19, 2019 604-616-6265 dulansky@lomlabs.ca Investigational device. Limited by Federal (or United States) Law to investigational use. Better protects health workers against accidental needlestick injury and consequent exposure to infection. L.O.M. Medical International Inc. and L.O.M. Laboratories Inc. (together “lomMedical”) is a privately owned medical device development company in Canada. 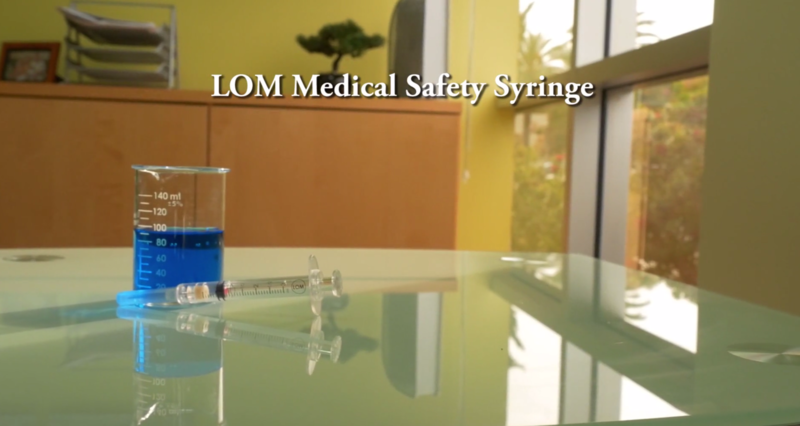 Our devices are designed to reduce needlestick injuries. This is accomplished using our novel pneumatic technology that safely retracts the needle into the hollow syringe plunger directly from the patient’s body. Needles that exit a patient’s body retain fluids that may be contaminated. World Health Organization (“WHO”) recommends “smart” syringes for injections having features preventing their re-use, lowering risk for injuries and infections. Our patented syringe technology prevents re-use of the device. This video shows how the unique retraction technology works. A propellant release cell provides the energy to retract the needle inside the plunger rather than a stainless steel spring or vacuum mechanism.